and is included with the TOTAL EXPERIENCE ADMISSION. Click here to watch a preview video of the Dinosaur Safari! Also includes: unlimited access to premium exhibits and activities! 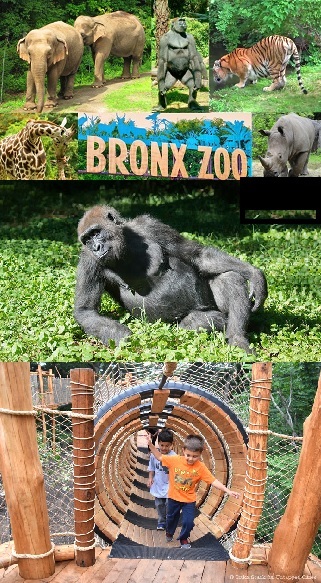 Spend the day in the largest metropolitan zoo in the United States and among the largest in the world! IMPORTANT ~ The Motor Coach & Seats you go to the City in are the same you come home in. It makes your ride much more comfortable. Bring a cooler, blankets, pillows & leave them on the bus ~ NO SWITCHING Buses or Seats. We are now assigning seats as well. If you have a request please put it in the comments of your order and we will do our best to accommodate everyone. For details, prices or to book click on the "COMPLETE BUS PACKAGES" button at the bottom of this page.